Civil and structural engineering consultants engaged in quality control or investigations of hardened concrete need a comprehensive resource that explains the methods of determining strength and other performance characteristics. 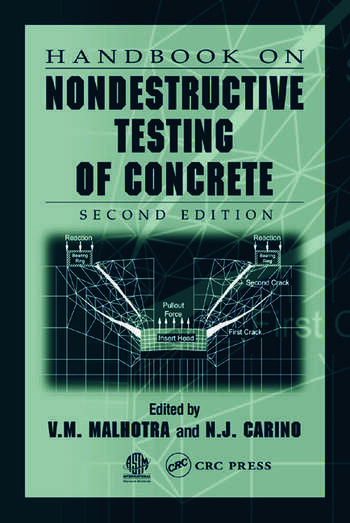 Handbook on Nondestructive Testing of Concrete, Second Edition answers this demand by providing a thorough analysis of nondestructive testing used to evaluate concrete structures. The Handbook examines the tools and techniques used to estimate the in-place strength of concrete and permeation properties that relate to potential durability, and it also describes the methods used to assess the condition of concrete integrity and steel reinforcement. The authors of each chapter are recognized specialists in the field who have served on technical committees for nondestructive testing. 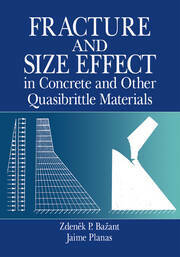 The chapters discuss the basic principles of the methods and offer practical guidance for their use. Extensive mathematical derivations are kept to a minimum; instead, the Handbook refers to numerous original papers for those interested in more detailed information. The Second Edition meets your need to generate reliable estimates of mechanical properties without damaging a structure's integrity. "The handbook is chock-full of high quality graphics, figures and photographs. 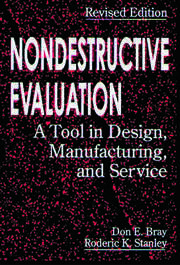 Although the book is aimed at practicing engineers with responsibilities of concrete quality control or investigations of hardened concrete, graduate students will find the book an excellent overview of both popular and lesser-known non-destructive testing techniques. Strongly recommended for civil engineers, builders, and academic library collections supporting civil engineering curricula at the university level."